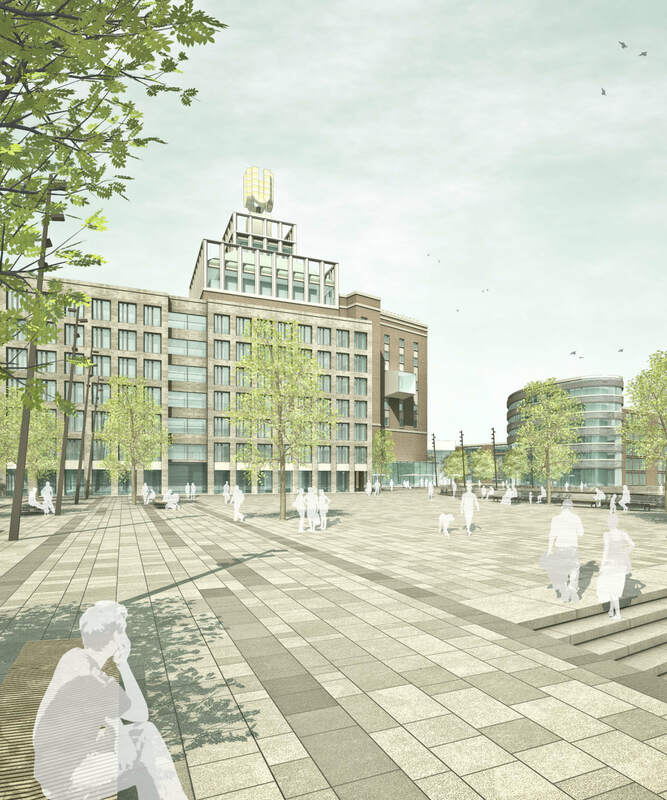 they form an attractive gateway to the city of Dortmund as well as to the development area around the Dortmund U. 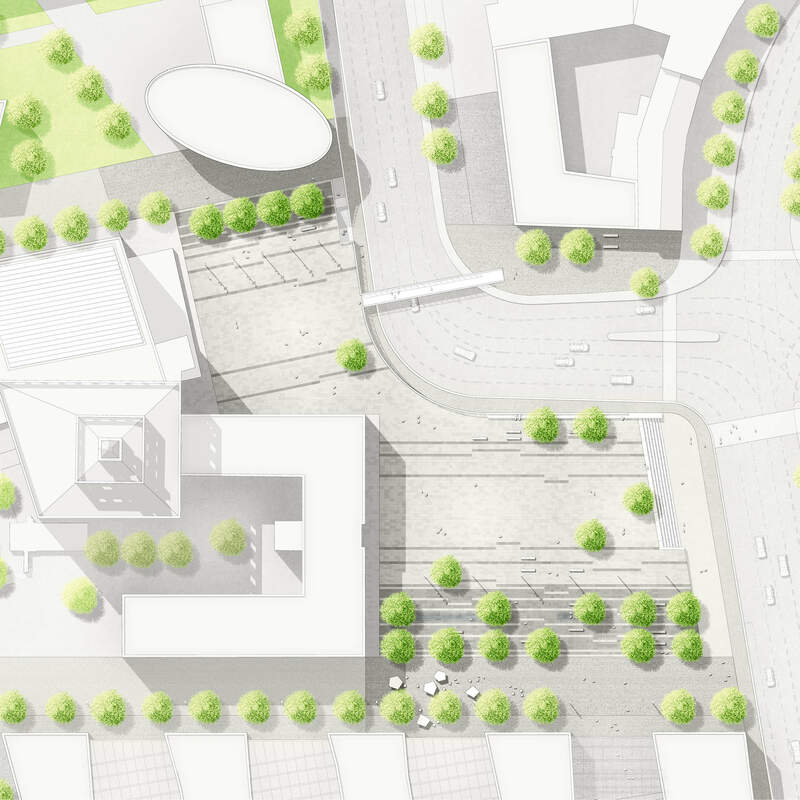 Given the aforementioned planning premises, the two existing forecourts are to be consolidated into one spatial sequence. For this purpose, a simple ordering structure is suggested. 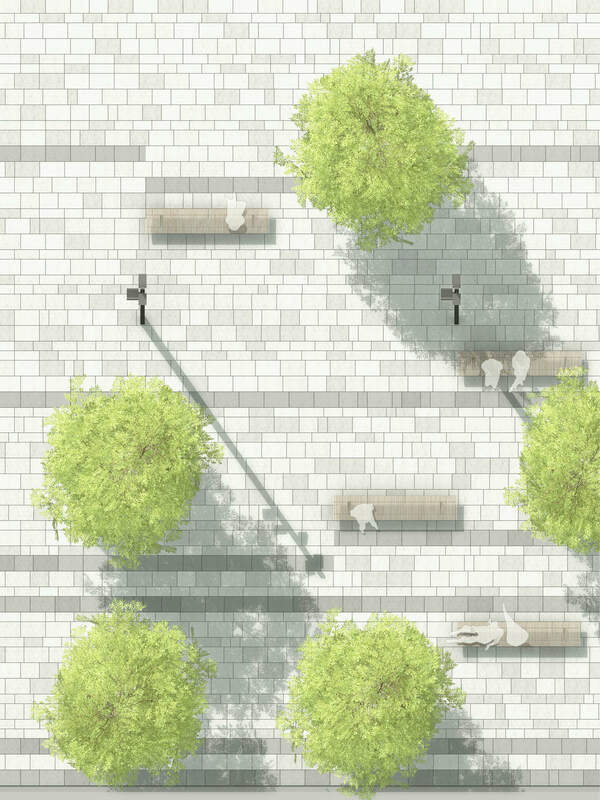 It consists of a banded pavement design and a ‘green edging’. By dissolving the elements towards the center of the square, subspaces with different light and shadow dispositions evolve. At the same time, the actual squares remain largely open. 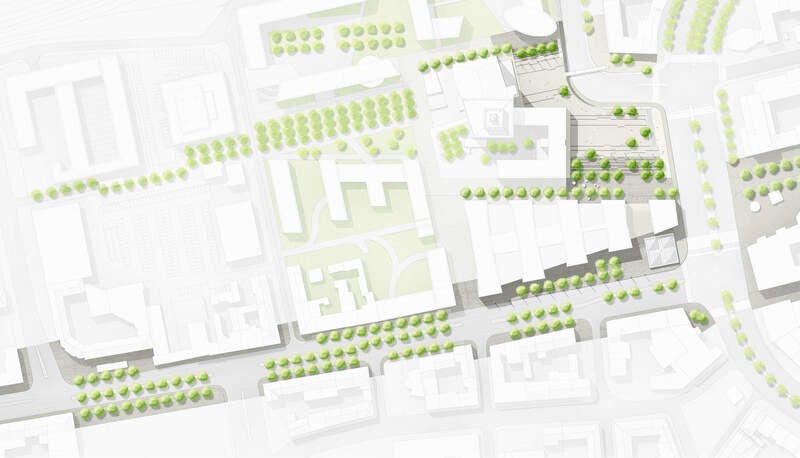 The arrangement of the proposed elements in size and proportion refers to the respective subareas of the plaza and takes into account the overall spatial dichtonomy of the area. To emphasize the location of Dortmund U in the city, a strong division of the areas is dispensed with.